SubCreator is an all in one subtitle editor! You can import script from other formats (time, frame format, SSA (very strong support), SAMI, SRT. Then of course you can export it (time, frame format, SSA, SRT). 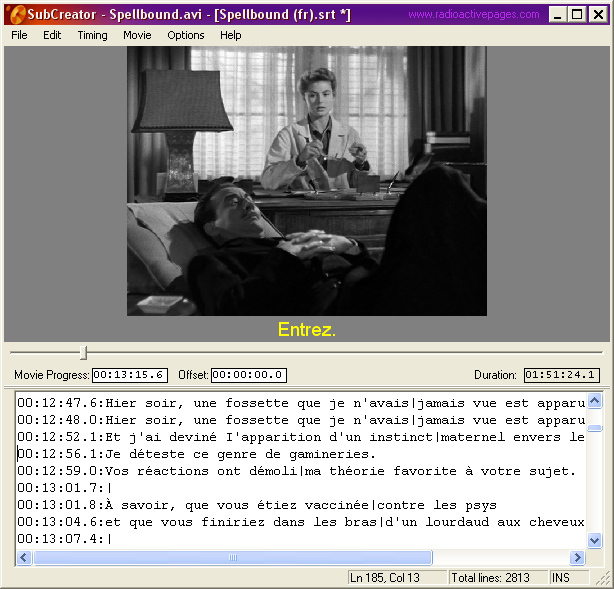 In general it looks like a combination of a movie player and a text editor with many synchronization features. I have put a strong focus on a keyboard use, so you can control movie flow, text edition and timing edition without need to use a mouse. Resolution is 0.1 sec. what should be sufficient in most cases.